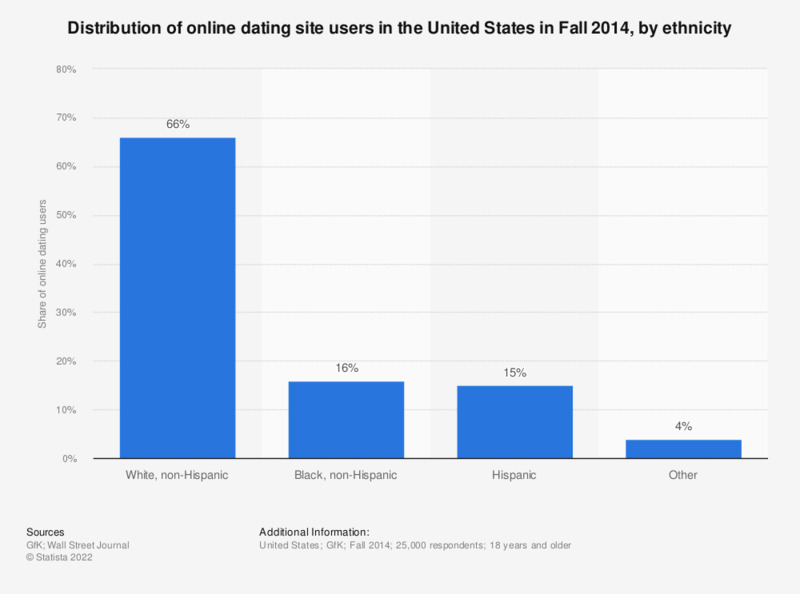 This statistic presents the distribution of online dating site users in the United States as of Fall 2014, sorted by ethnicity. During the survey it was found that 15 percent of U.S. online dating site users were Hispanic. Via any device in the past 30 days, numbers may not add up to 100 percent due to rounding.